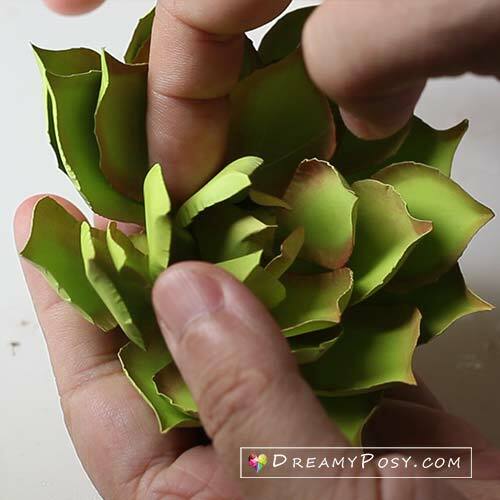 This is the step by step tutorial to make paper Succulent, with the free templates as usual. 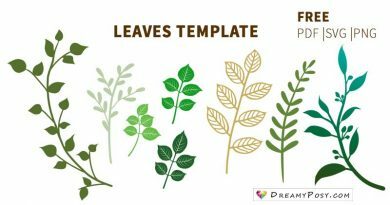 But today I’ll try to make SVG template files. 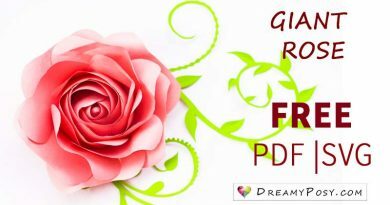 If you need any other file format, just drop me a comment below. 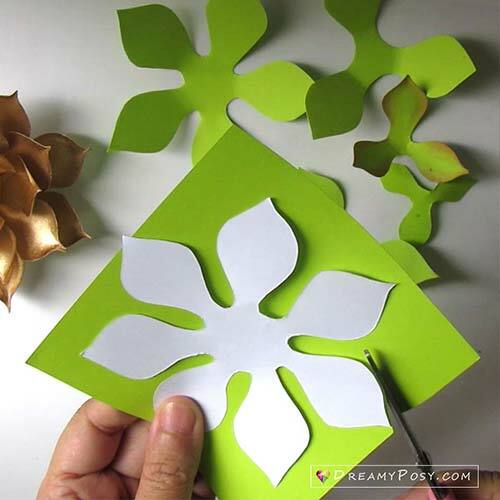 Step 1: Cut the petals from my free templates. There will be 7 layers to be cut. 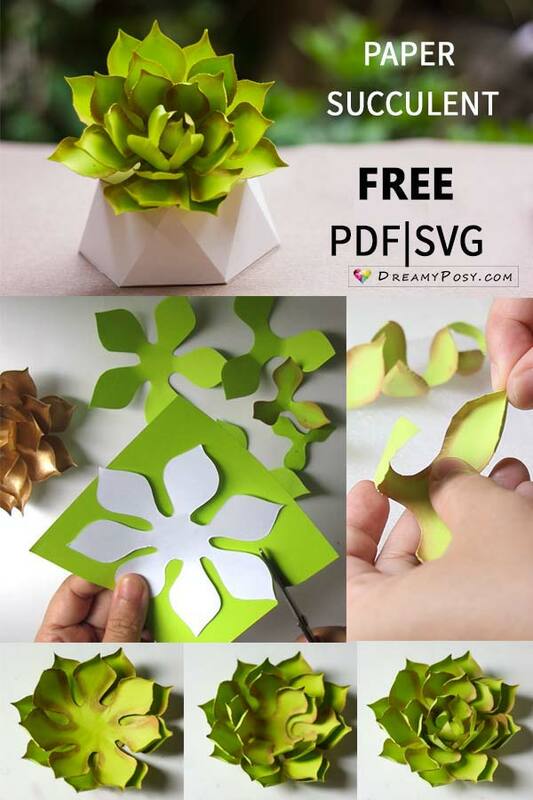 You could use your scissors and manually cut from PDF template file or use the SVG file for your Cricut. Step 2: Color the edge of the petal with pastel chalk. 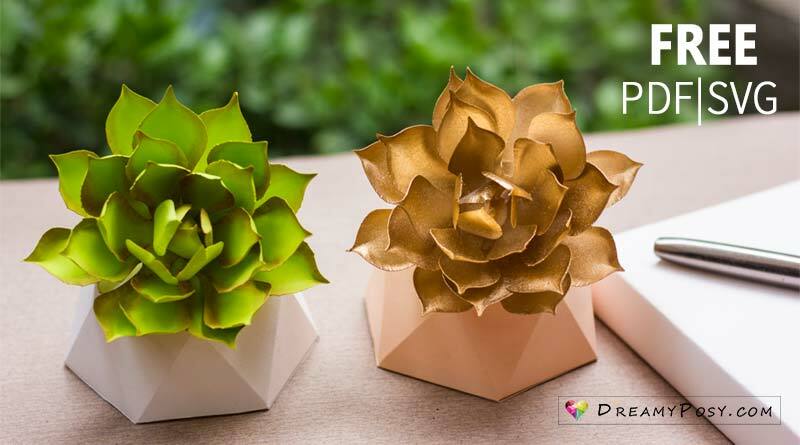 Actually, the real succulents have so many colors, so you could choose different cardstock color and pastel chalk to imitate or create your own style. 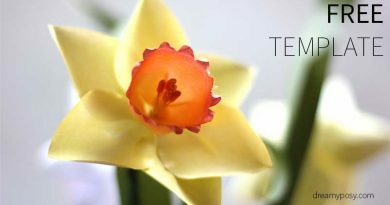 Step 3: Use a round stylus and your finger to curl the petals. You could find this step in detail at 0:28′ of the video. Step 4: Glue the 7 layers together. 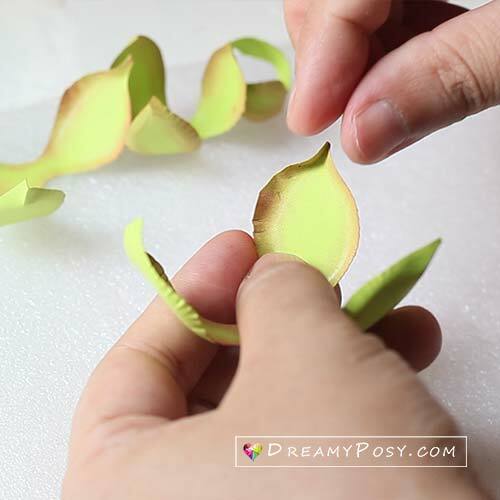 The petals in the centers are close together, so please ensure that you will glue them together to help it be more realistic. 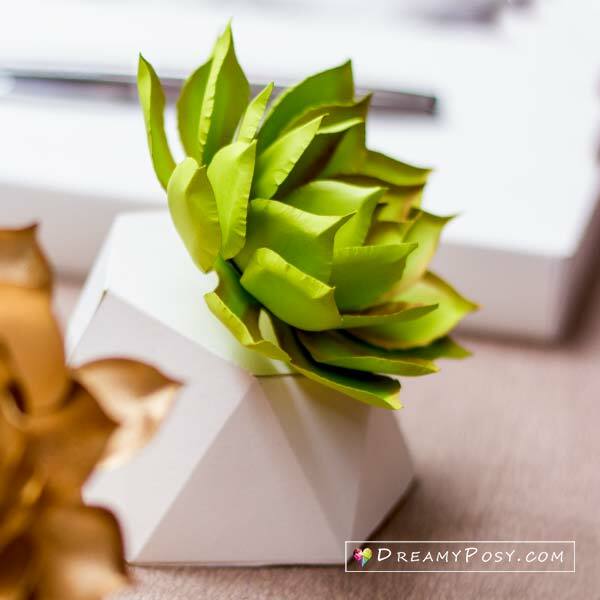 Cut and glue the drinking straw (7cm) to the bottom of the succulent and insert it into the vase. 3. Scissors or a Cricut Explorer for much faster cutting. Hi, these are gorgeous! 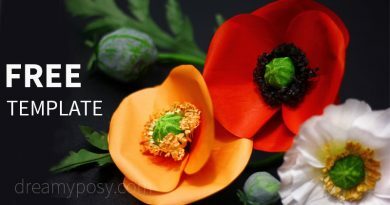 I’m interested to put the in my wedding bouquet. I have a silhouette cutting machine, and neither the pdf or svg work for me to trace. Can you email me with a copy, with no watermark? Or a copy filled in black? TIA! Which format are you asking about now, Jamie? This is a beautiful succulent template! The best one I have seen. Thanks so much! Thanks Patty. I’m glad that you love it. this is so cute… thankyou ? Thank you, Electra. I’m happy that you like it. 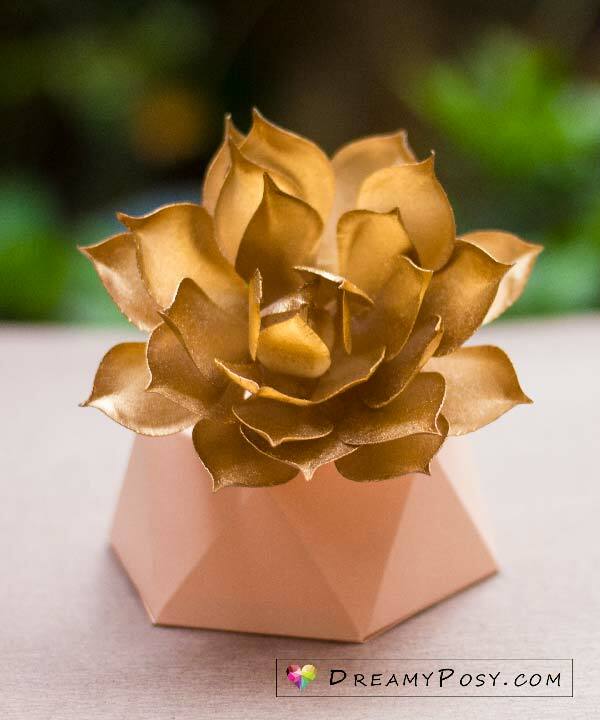 Love your share of diy paper flowers! It helps and easy to handle. Thanks for share. So beautiful, Ann! You constantly amaze me with your designing skills. Thank you for leaving me such nice words, Ann.